The Minnesota Twins signed Jonathan Schoop to a one year $7.5 million contract this offseason in a bridge deal to prepare for Royce Lewis among others. 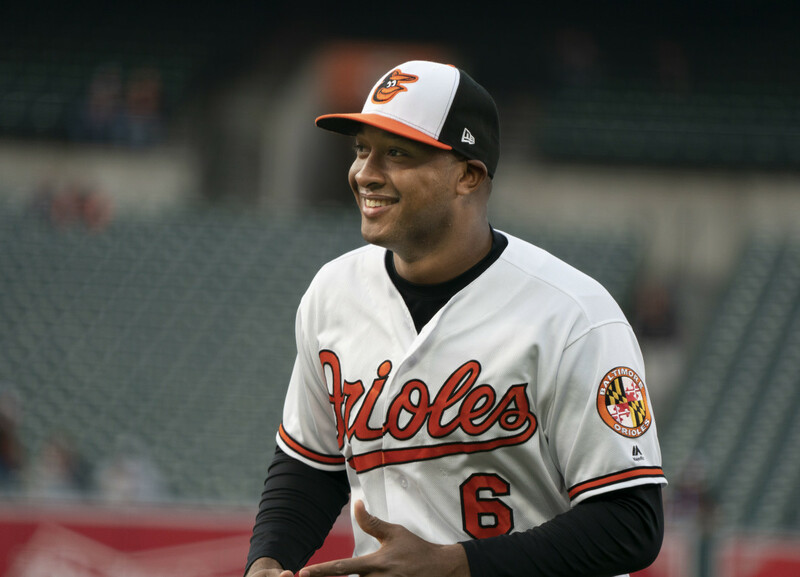 It seems like fans and people around the game have already written off seeing Schoop anywhere with the Twins past 2019, but the question has to be asked, what if Jonathan Schoop returns to his 2017 form? Fielding wasn't as good but it was good enough to pass as long as you are hitting like he was. Overall the hitting alone puts him in the top 5-10 second basemen in baseball. He is on the Twins and is a great player to have a potential bounce back campaign. The Twins were able to grab him as an under the radar pick up because he struggled so much in 2018. Obviously there is something with his swing that the front office was confident can be fixed. He was also dealing with a leg injury throughout all of 2018 that limited his abilities. So hypothetically if Schoop were to repeat 2017 or even be better, what would his outlook be for remaining on the Twins in 2020 and beyond? I think there are three options. 1.) Jonathan Schoop resigns on a multi-year contract and a middle infield prospect is traded. 2. )The Twins let him walk in order to make room for Lewis, Javier, Gordon etc. 3. )The Twins have a bad year and trade him at the deadline. I would imagine that if Schoop can repeat 2017 or get even better that he would get somewhere around the Jean Segura deal of 5 years $70 million. Schoop will only be 26 or 27 so signing an impact second basemen into his early 30's couldn't hurt. I would imagine if he is resigned he will have to eventually have to move over to third base in order to make room for Royce Lewis and Jorge Polanco. The second option the Twins have will be to let him just go to free agency so the Twins keep their money and can spend it elsewhere. This wouldn't be a crazy move even if Schoop has a great year, just based on the fact that Royce Lewis, Wander Javier, Nick Gordon and others are in the minors. Another possibility is one that would hurt the most but is still possible. The Twins could have another down year and swap Schoop for a few prospects. I would much rather see the Twins trading prospects for impact players at the deadline but we will just have to wait and see. If Schoop is resigned it's likely he would play one more year at second base while waiting for someone like Royce Lewis to emerge. The infield would eventually be shifted all around and look something like Schoop at third, Lewis at shortstop, Polanco at second and Sano at first. . Four offensive weapons with slight defensive liability at 3 positions, but with great outfielders it balances out, right? Overall I've never been so hyped or just excited about a one year contract for a player coming off a really bad year but Schoop could just be really good. If the Twins are right and they are able to pinpoint something he was messing up with his swing and get him back to his strengths, this $7.5 million contract could be a great deal. Thank you for reading my Jonathan Schoop post. Go check out my seperate blog @EverydayTwinsTalk.com I would love to do more interactive articles with fans, so go visit my Twitter. (@EverydayTwins). If you enjoyed please leave a like and share with your friends. Anything can happen, but Schoop specifically wanted a 1 year make good deal. He has a lot of confidence as well he should. Solid move. I guess we will know....... in August. I think A lot depends on the degree of his bounce back.If it is close to his career average 20-25 HR .258/.294/.444 then maybe we have interest in another 1-2 year deal.But having Marwin Gonzalez around for 2020 might be enough of a contingency for if Gordon or who ever still isn't quite ready. If he does manage to go full 2017 rebound than I think a team will bite on a long contract and it won't be the Twins.Other than 2017 he has only posted an OPS+ over 100 one other time and that wasn't a full season (86 games).I'm not sold that 2017 was who he really is.I'm viewing a full 2017 rebound as an unlikely scenario for the time being. I think this signing was a combination of 2 needs.Schoop needed 1 year to prove he is better than his 2018 and the Twins needed a decent fill in.Maybe a bounce back changes our plans but I doubt it. → Does Jonathan Schoop have a future on the Twins?